Little Swan Island lies off the eastern shore of Great Swan Island. It is best accessed from the western shore. 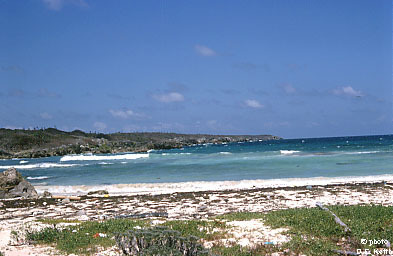 This picture was taken looking toward the western point of Little Swan from Great Swan Island. The vegetation is very different than that found on Great Swan Island. There was much cacti and scrub. 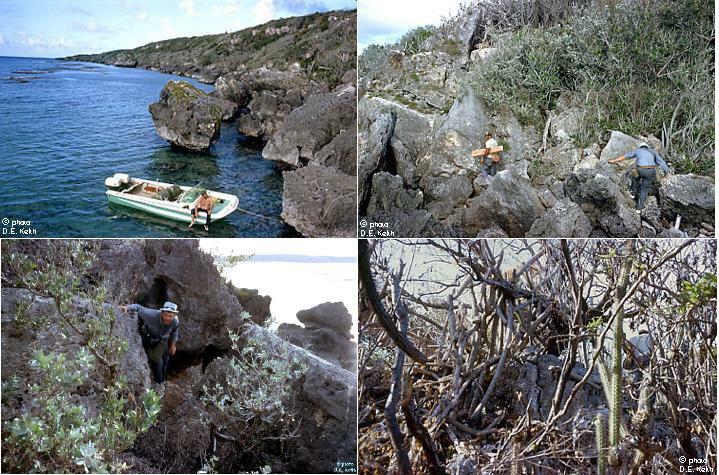 Trees grew out of the weathered carbonate rock and dead wood and leaves covered deep crevasses in the rock making walking on the island very hazardous. The photos below were taken on top of the island. 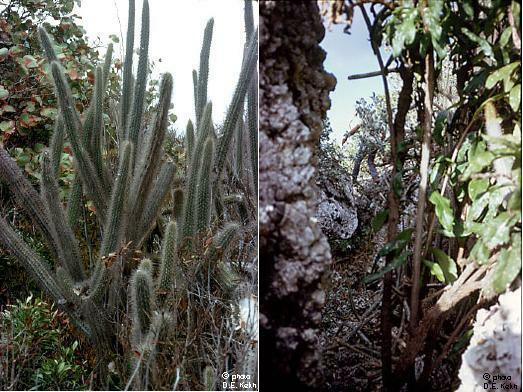 They show the weathered carbonate rock and deformed trees and cacti.